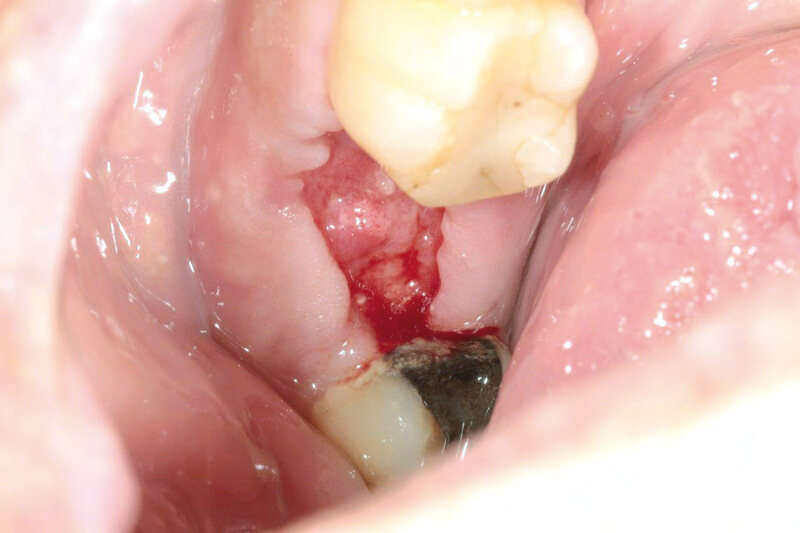 1/15 - Situation after tooth extraction. 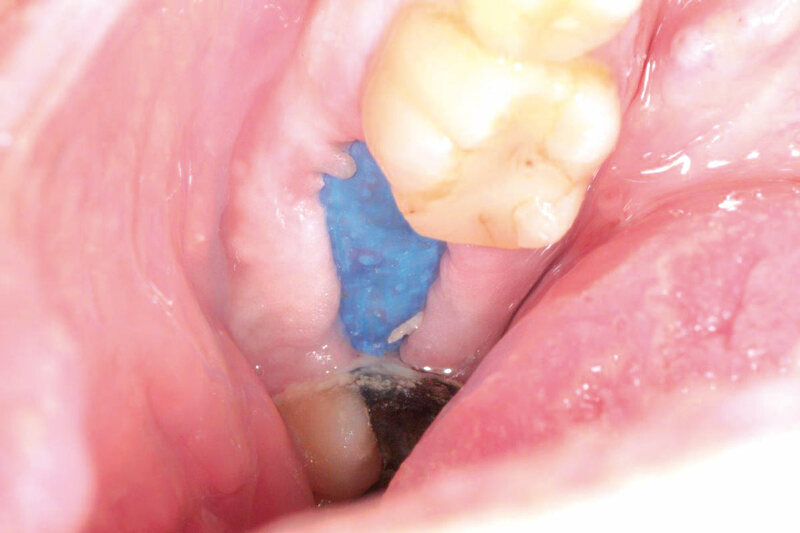 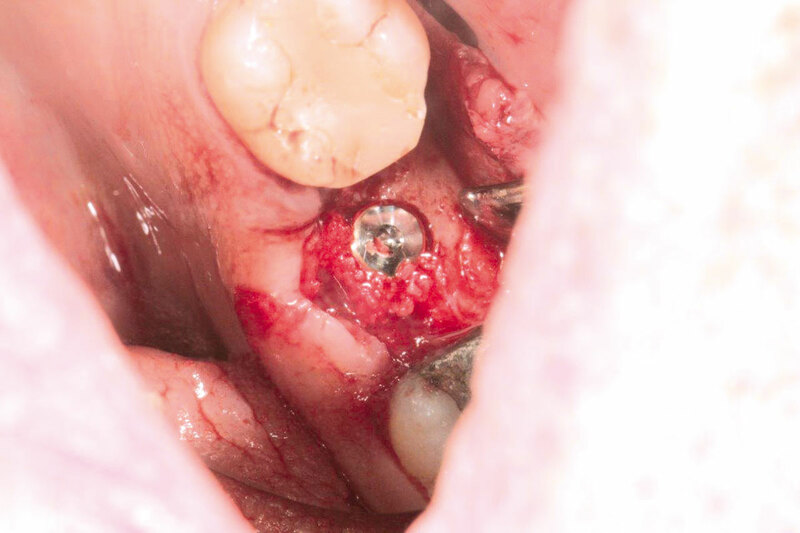 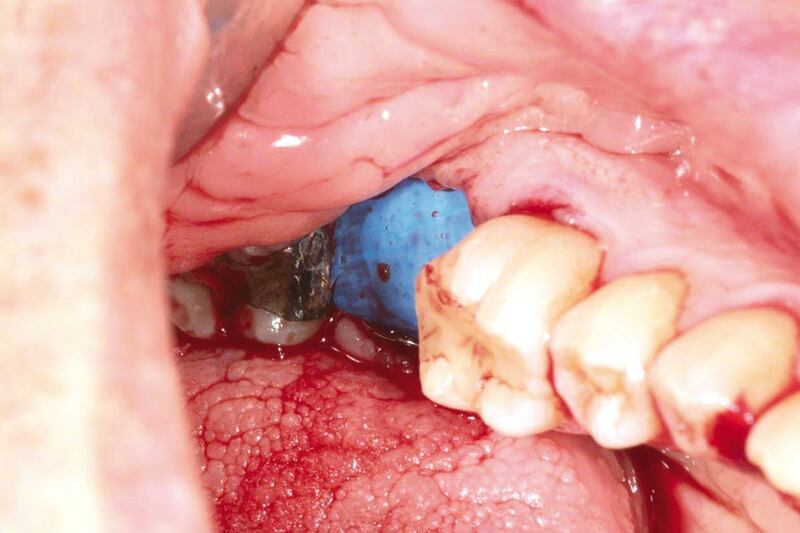 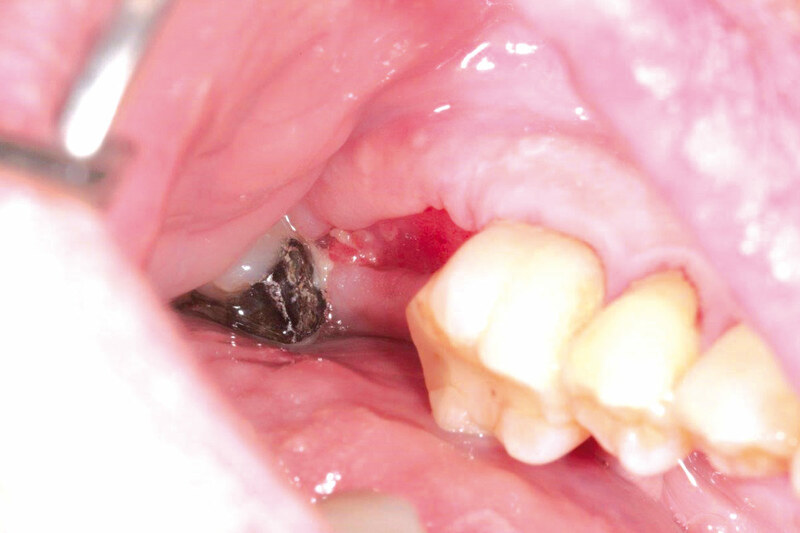 2/15 - Socket grafted with cerabone®. 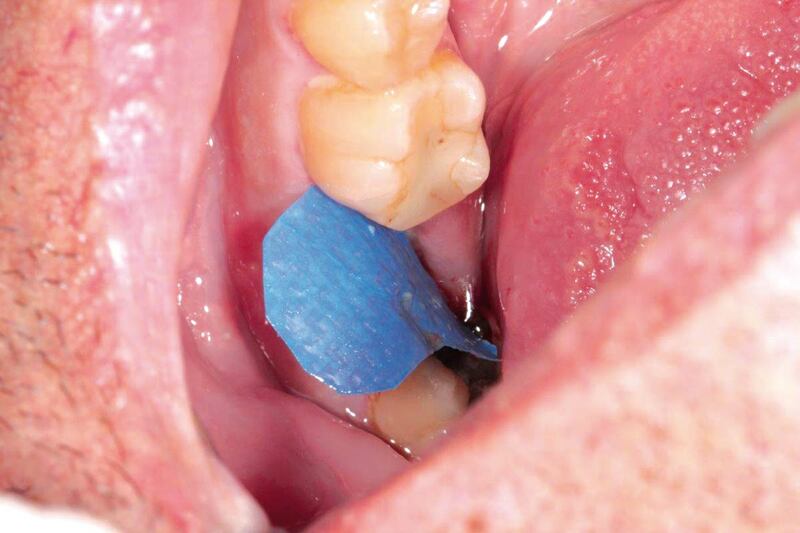 3/15 - Augmented socket covered with Jason® membrane. 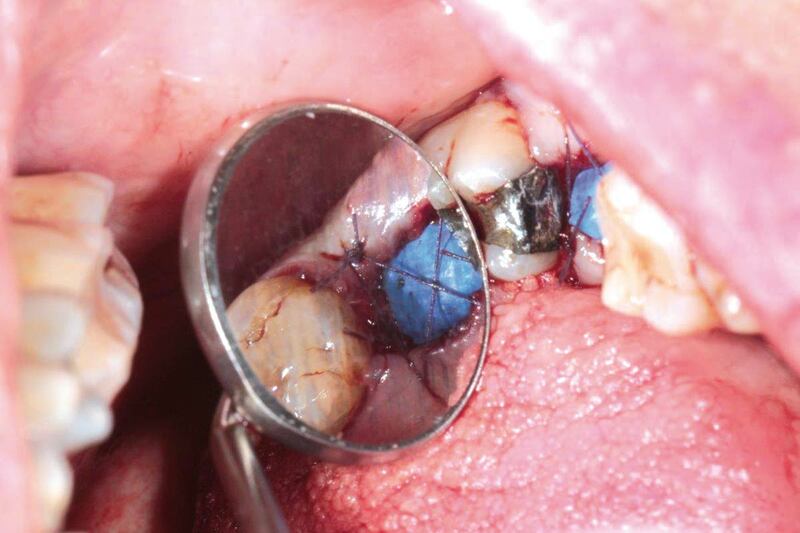 4/15 - Augmented socket covered with Jason® membrane. 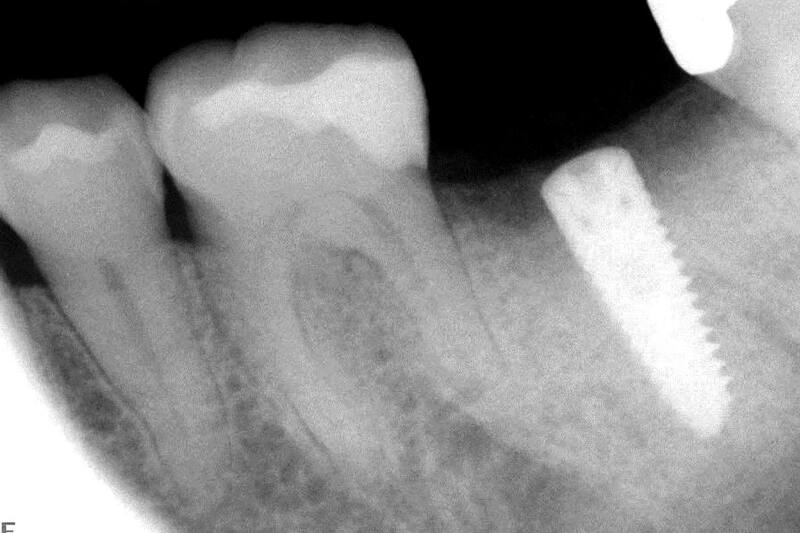 5/15 - Covering with permamem®. 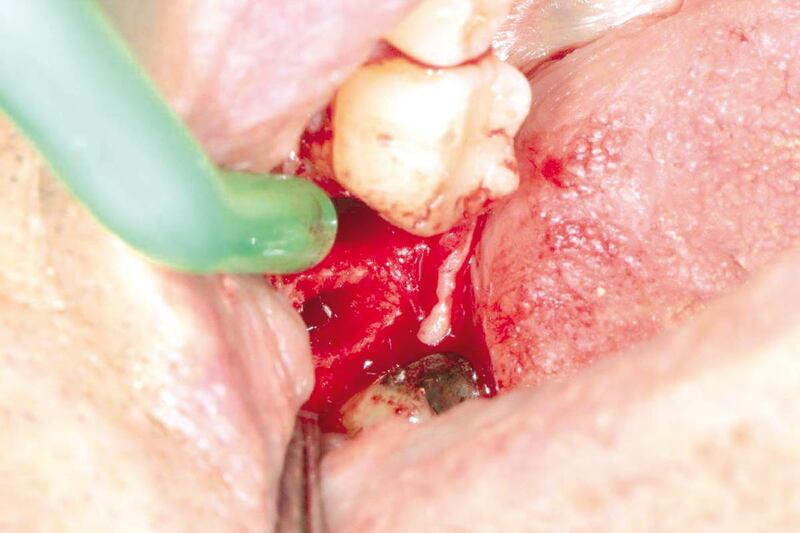 6/15 - Covering with permamem®. 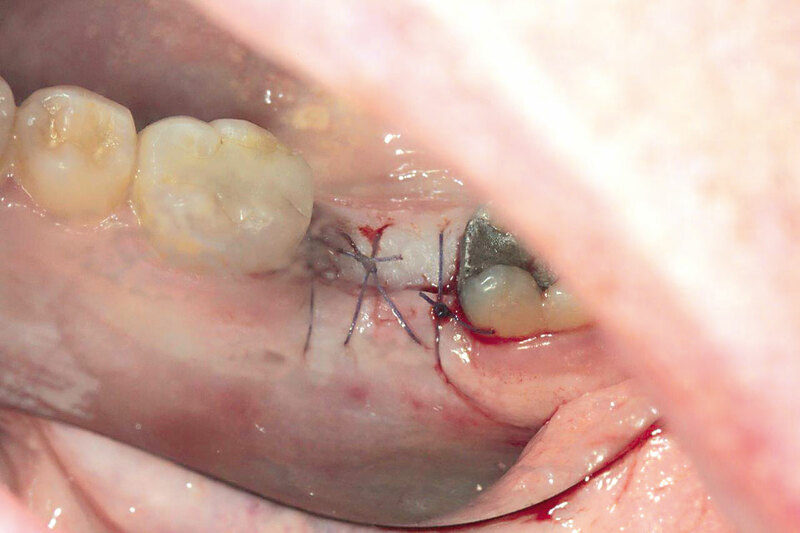 7/15 - Membrane stabilized with cross suture. 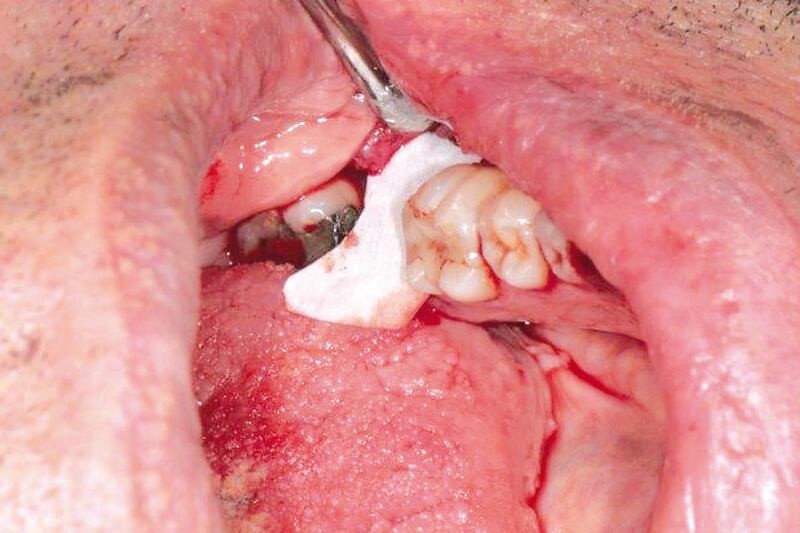 8/15 - Situation 4 weeks post-operative. 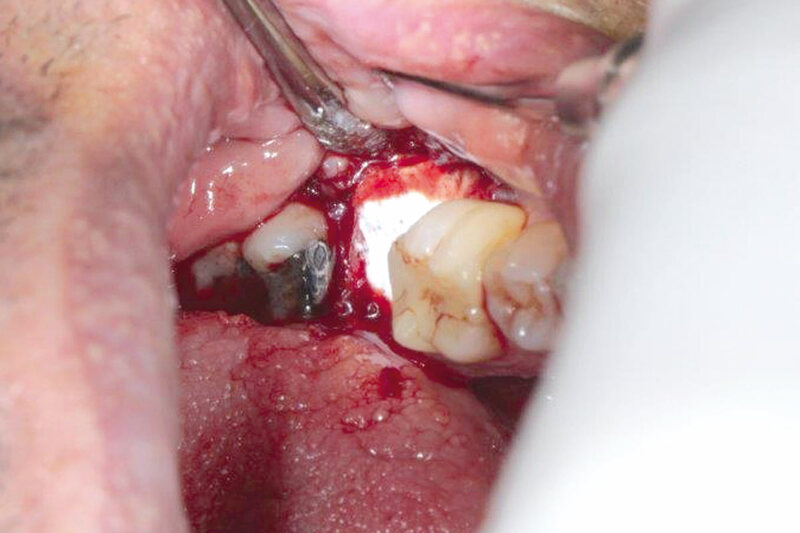 9/15 - Situation 4 weeks post-operative after membrane removal. 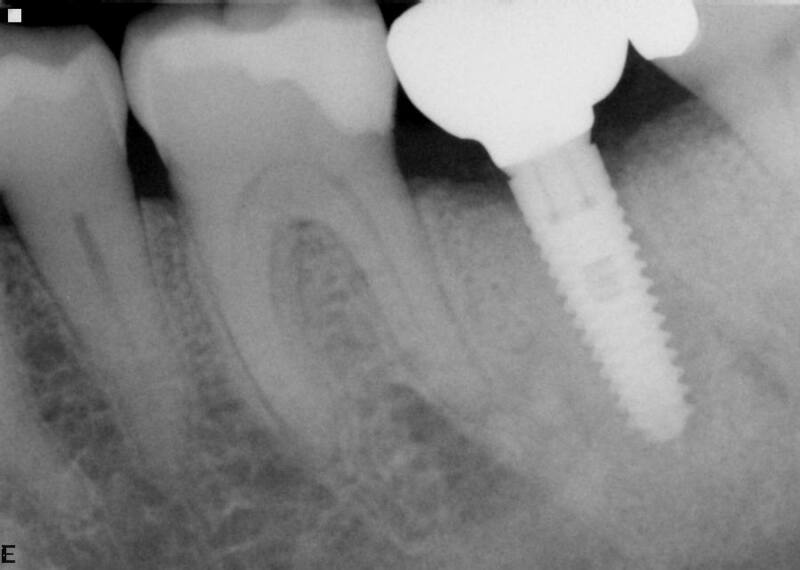 10/15 - Situation 5 weeks post-operative. 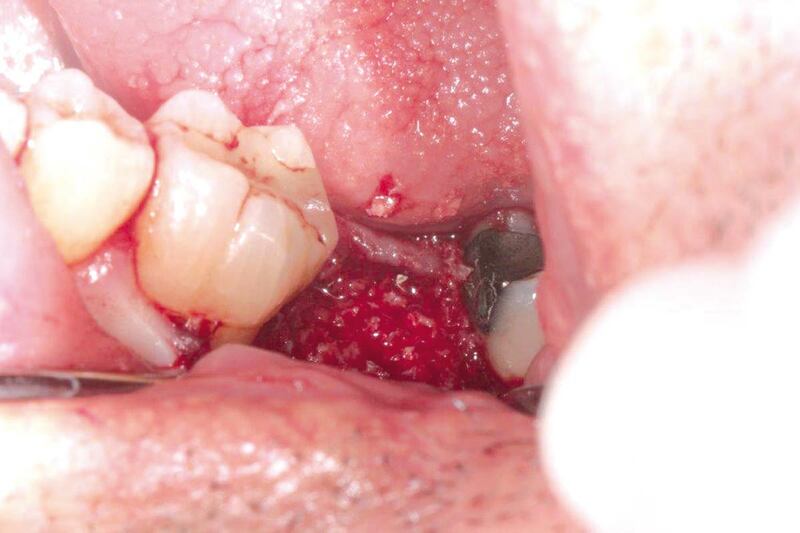 13/15 - Primary wound closure. 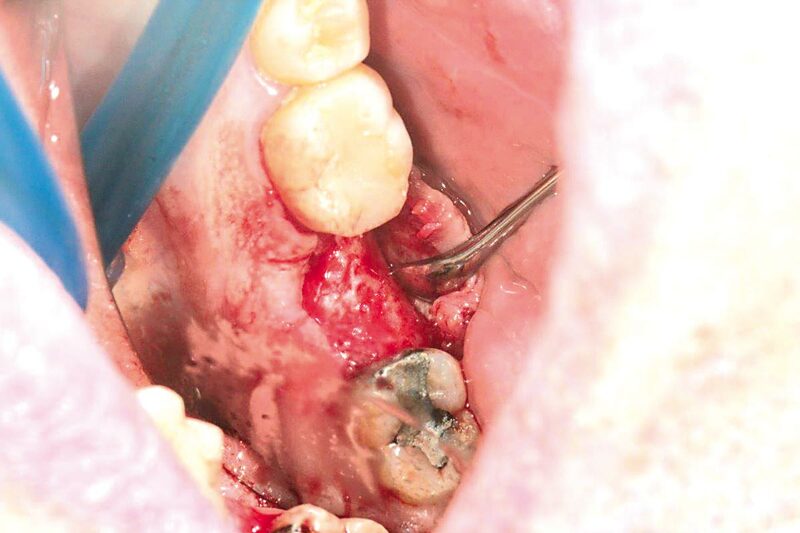 15/15 - Final prosthetic restoration.